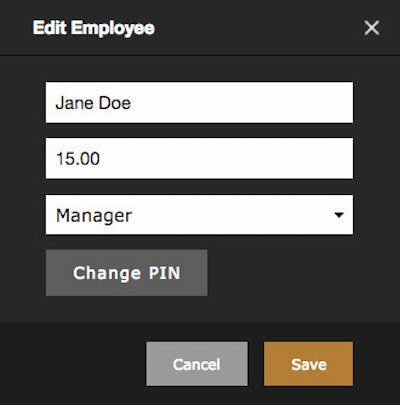 Everyone who uses Rezku POS should have their own separate user account and secret PIN. 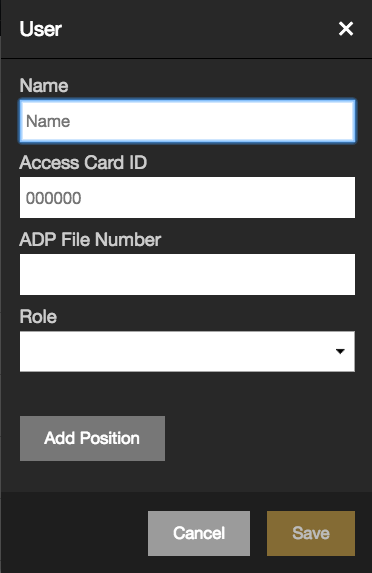 This provides accountability for every operation performed in Rezku POS. To create a user, go to the Users area of Back Office, by clicking in the left-hand navigation bar. When you open the Users page for the first time, one user is already created. This is the Owner account. 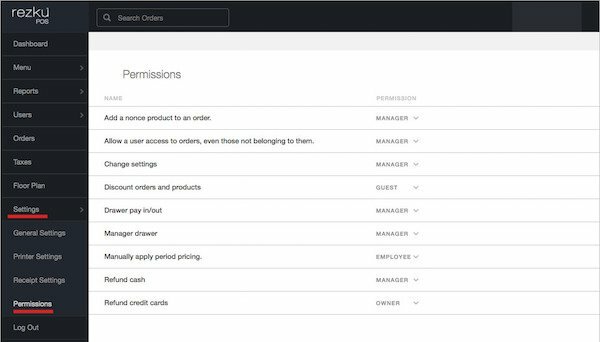 The Owner account has access to all the features and settings in Rezku POS and defines the permissions for the other users. The roles you can assign to new users are Owner, Manager and Employee. The Owner role is the highest level of permission and should be restricted to users who also access Back Office and need to be able to do “everything”. The Manager role has access to high-trust functions necessary for day to day operation of a register, such as authorizing refunds and changing prices. The Employee role should only have access to functions required to do their job, such as taking orders and completing transactions. You can set the permission levels for specific tasks, in Back Office, in the Settings area, under Permissions. 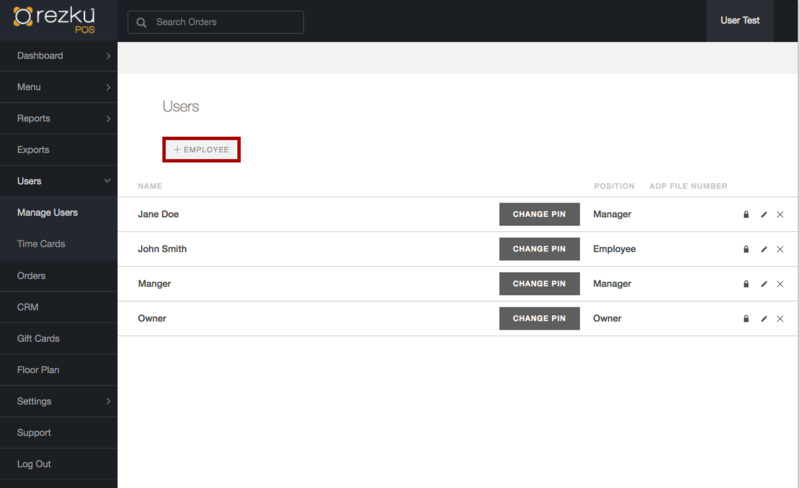 ● Click on Users in the left-hand navigation column in Rezku POS, and click Manage Users. The New Employee window will pop-up. 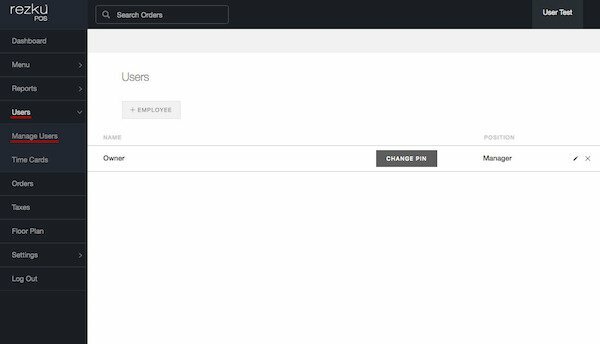 Rezku POS also tracks labor costs and lets you assign employees to different pay rates depending on their shift. 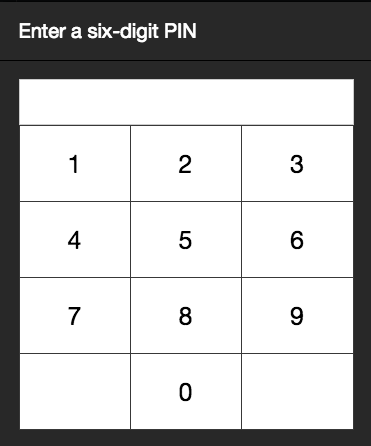 After saving a keypad will appear to set the user’s identifying PIN number for the system. You can change the PIN number at any time. Duplicate PIN numbers are not allowed! NOTE: Employee PIN numbers provide a high degree of accountability. They are used to clock in and out, verify transactions, log onto registers, and to authorize changes to the system. It is critical that PIN numbers are kept secret. To remove a user, click X on the row with the user’s name. Click “Yes” to confirm you want to delete the user. To edit a user, click the Pencil icon, just to the left of the X, on the row with the employee’s name. 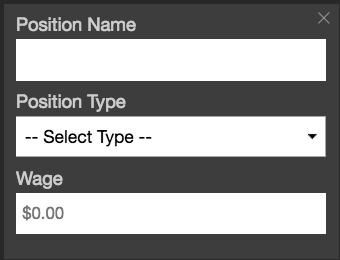 When the Edit Employee window is open, you can make changes to the name, permission level and rate of pay. ● Click Save to keep your changes.